Preheat oven to 325 degrees F (165 degrees C). Slightly grease and flour a 10 inch Bundt pan. Cream together 6 tablespoons butter and 2 cups sugar until light and fluffy. Add the flour mixture alternately with the evaporated milk and mix until incorporated. Fold in the cranberries. Pour batter into prepared pan. Bake in preheated oven for 50 to 60 minutes, or until a toothpick inserted into the center of the cake comes out clean. Set aside to cool in pan for 10 minutes, then turn out onto a wire rack and cool completely. Meanwhile make the Butter Sauce. In a saucepan, combine 1 cup butter, 2 cups sugar, and cream. Bring to a boil over medium heat, reduce heat and let simmer for 10 minutes. Remove from heat and stir in vanilla. 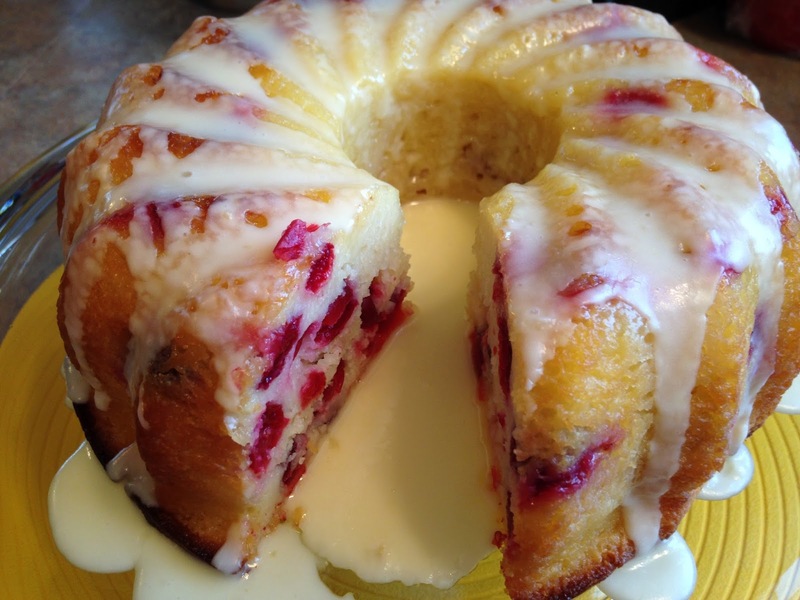 Generously pour butter sauce over Cranberry Bundt Cake. Serve cake slices with more sauce as desired.